Along with our recent release of VDK 0.2.254, we’ve added a few new example apps to help developers get started with the VDK. The example applications have the same architecture. VertX application server, making use of the Vital-Vertx module. 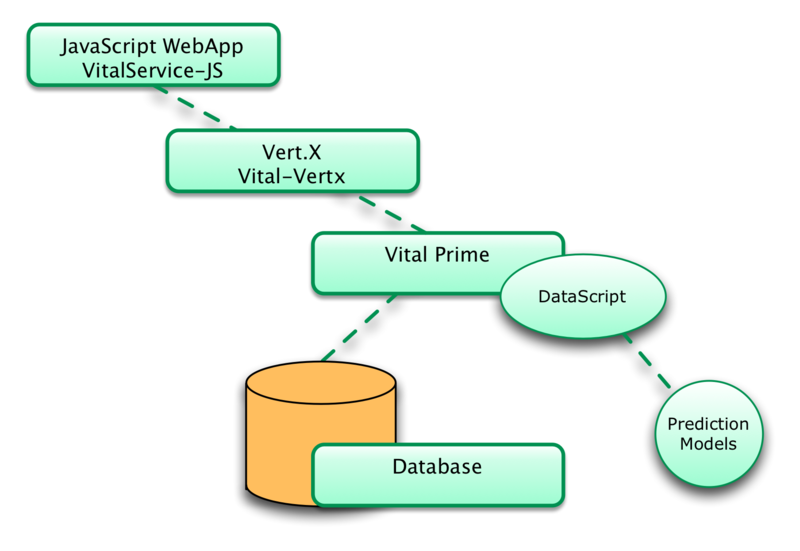 VitalPrime server using DataScripts to implement server-side functionality, such as generating predictions using a Prediction Model. Prediction Models to make predictions or recommendations. A Prediction Model can be trained based on a training set, or it could interface to an external prediction service. If trained, we often use Apache Spark with the Aspen library to create the trained prediction model. 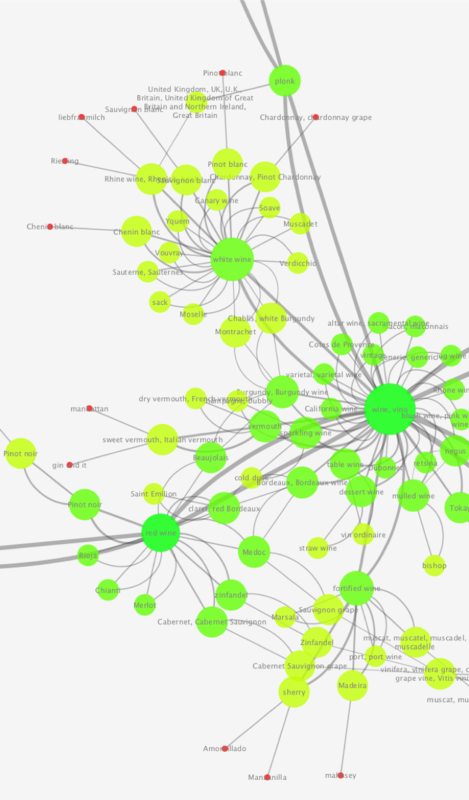 A Database such as DynamoDB, Allegrograph, MongoDB, or other to store application data. Here is a quick overview of some of the examples. We’ll post detailed instructions on each app in followup blog entries. 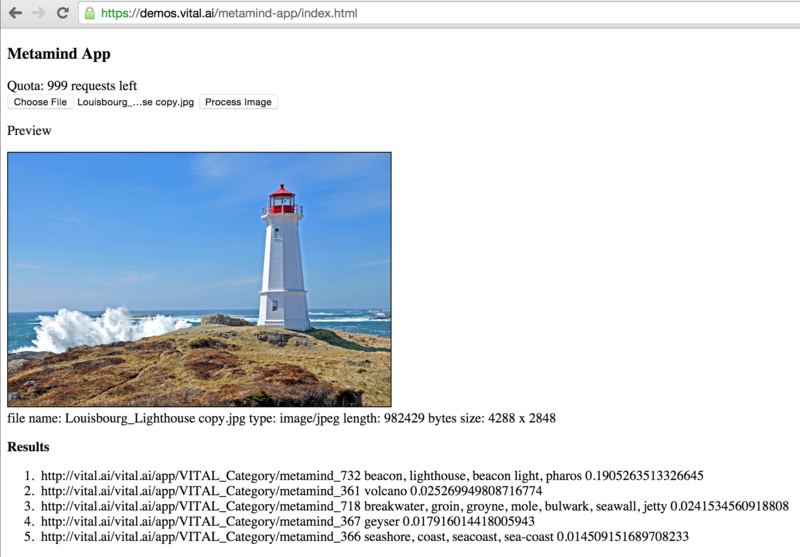 This example uses a MetaMind ( https://www.metamind.io/ ) prediction model to classify an image. 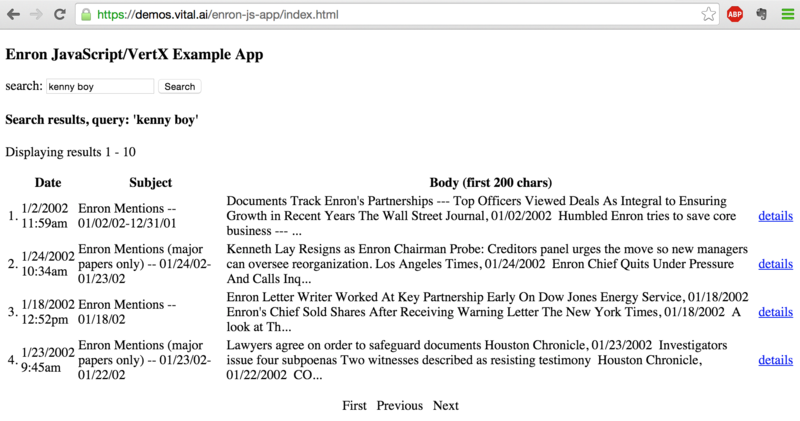 This example app uses an AlchemyAPI (IBM Bluemix) prediction model to classify a document. 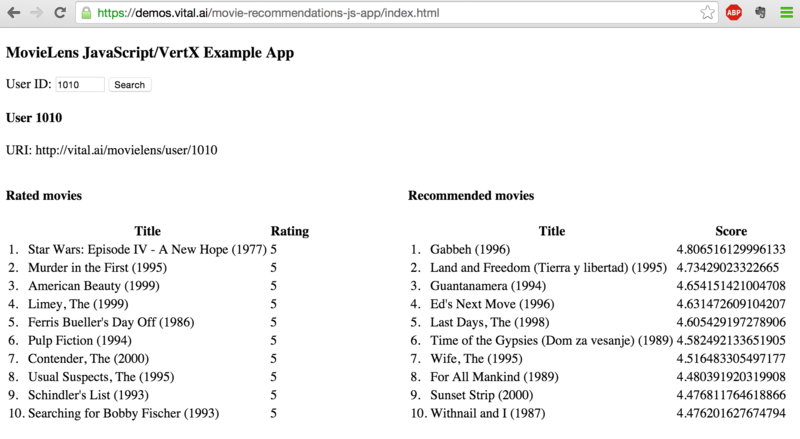 This example uses a prediction model trained on the MovieLens data to recommend movies based on a user’s current movie ratings. The prediction model uses the Collaborative Filtering algorithm trained using an Apache Spark job. Each user has a user-id such as “1010” in the screenshot above. 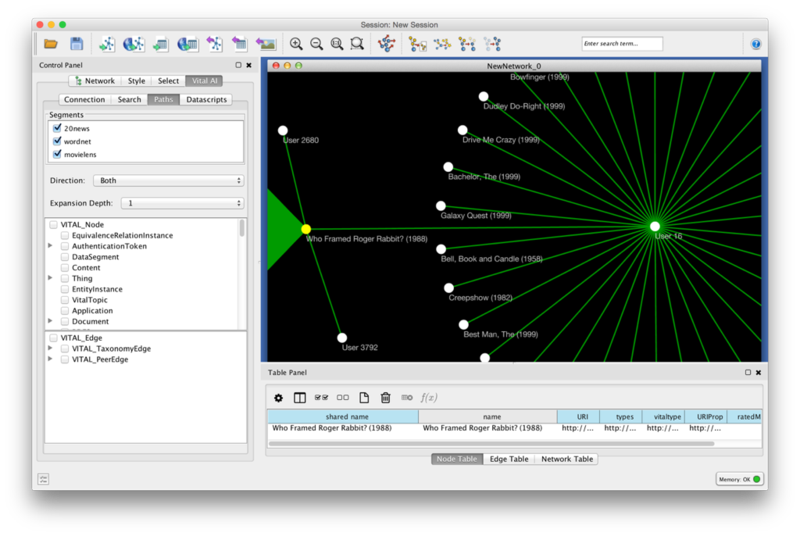 This example demonstrates how to implement different queries against a database, such as a “select” query — find all documents with certain keywords, and a “graph” query — find documents that are linked to users. 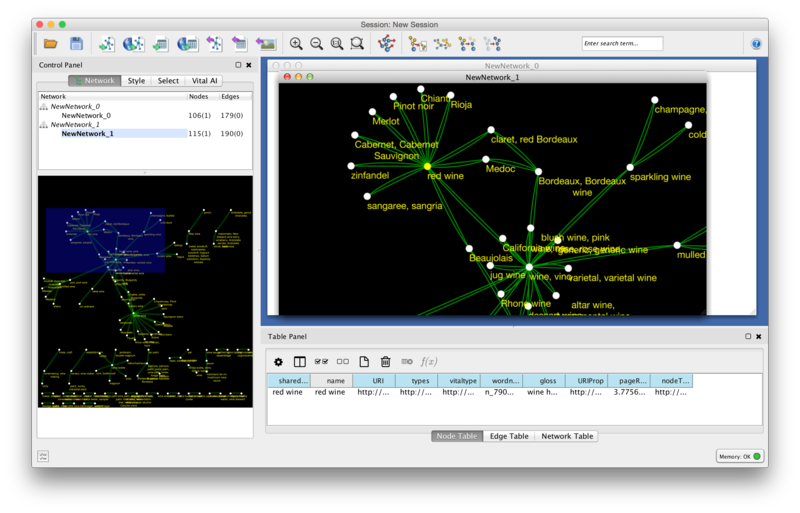 The Cytoscape graph visualization tool can be used to visualize the above sample data using the Vital AI Cytoscape plugin.